Marble rye with lots of delicious pastrami and sauerkraut packed in, and Russian dressing dripping off, On Rye in Chinatown does the Reuben just right. I’m not a fan of the prices, especially if you’re just eating lunch (this is an issue all around the city…sigh, DC)…but my concern passes once I get the sandwich in front of me. 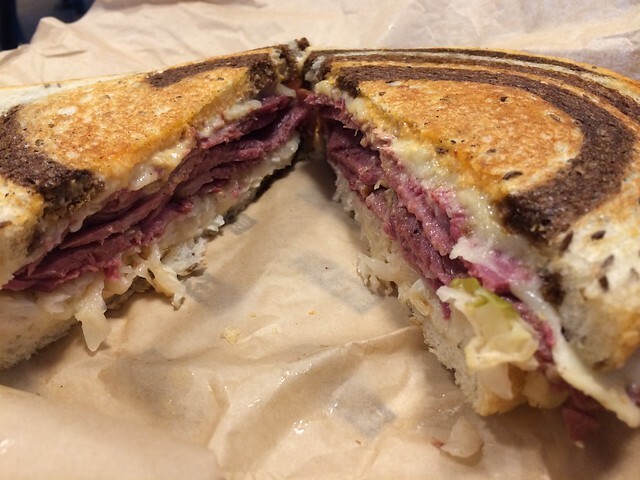 I love a good Reuben, and that’s a good Reuben!